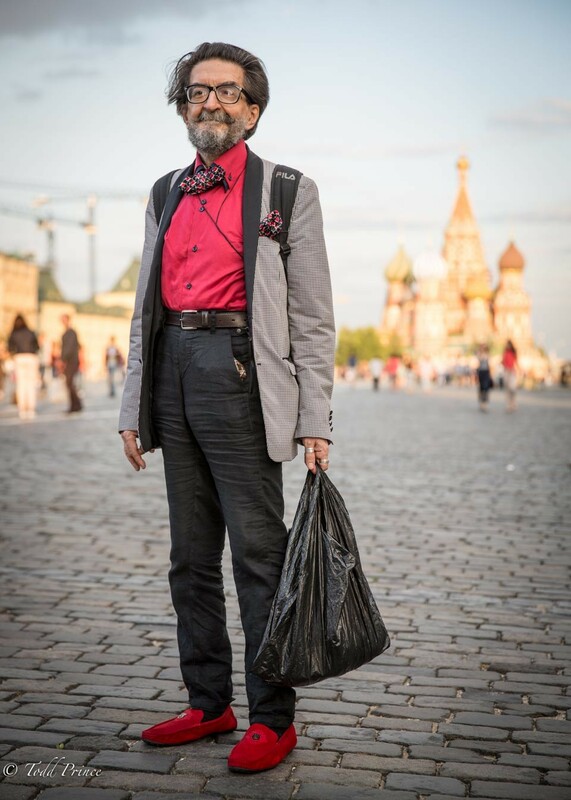 MOSCOW: Vazgen, 66, was walking across Red Square at sunset, wearing a red shirt, red shoes and bow tie with matching handkerchief. The graphic artist said he made the bow tie and handkerchief himself by cuting up a straight, long tie into three pieces. ‘’I love tying a knot,’’ he said, when I asked if he often wears a tie. An Armenian with roots from Nagorny Karabakh, Vazgen said he loves poetry and always buys bilingual books to practice his English. He loves the work of Emily Dickinson, am American poet who lived a secluded life, never marrying or having children. I asked the pensioner if his children were also artists. He said he didn’t have children, but still hoped to. ‘’I am not too old,’’ he said.